SNOOK (CDR J. F. Walling) departed Guam on 25 March 1945 in company with BURRFISH (SS-312) and BANG (SS-385) to carry out a coordinated patrol with Commander Walling commanding the group. They were to patrol Luzon Strait, the south coast of China, and the east coast of Hainan, and to perform lifeguard duties if so directed by despatch. 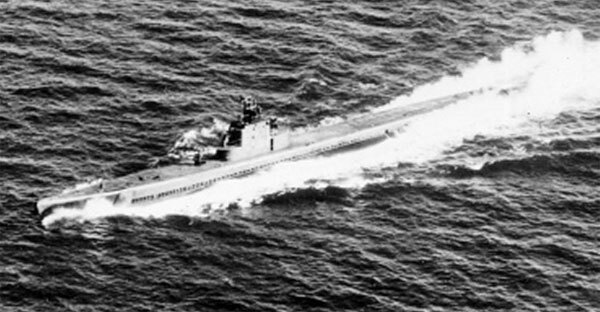 SNOOK returned to Guam for emergency repairs on 25 March, and departed on 28 March to rejoin her group. The patrol was SNOOK's ninth. In accordance with her orders, weather reports were received daily from SNOOK as she proceeded westward until 1 April, when she was told to discontinue making them. On the same date, SNOOK was directed to proceed westward to join a coordinated attack group under Commander Cassedy in TIGRONE. BANG and BURRFISH already had been assigned lifeguard stations, and were not available for the attack group as originally planned. Although the last message received from SNOOK by shore bases was on 1 April, TIGRONE was in contact with her until 8 April, at which time SNOOK's position was 18° 40'N, 111° 39'E. On 9 April TIGRONE was unable to raise her by radio, nor was she ever able to afterwards. TIGRONE being unable to raise her may be explained by the fact that on 10 April SNOOK was directed to move eastward toward Luzon Strait, and on 12 April she was ordered to lifeguard duty for British carrier based air strikes. Her position for this duty was in the vicinity of Sakeshima Gunto, about 200 miles east of northern Formosa. No acknowledgement for these orders was required. On 20 April the Commander of a British carrier task force reported he had a plane down in SNOOK's vicinity, but could not contact her by radio. SNOOK was ordered to search the area and to acknowledge these orders. When she failed to make a transmission, BANG was sent to make the search and to rendezvous with SNOOK. Although BANG arrived on the scene and rescued three aviators, she saw nothing of SNOOK. When SNOOK had not appeared or been heard from by 16 May, she was reported as presumed lost on her ninth patrol. Japanese anti-submarine attack reports available at this time give no information of an attack which might have been on SNOOK. There were mines in the vicinity of Sakeshima Gunto, but SNOOK had information of these, which had been gained from captured enemy documents. It is improbable that she would have gone into the minefields unless intentionally to rescue a downed aviator. She was not asked to penetrate any minefield in effecting any rescue. A number of enemy submarine contacts were reported in the vicinity of SNOOK's lifeguard station during the period in which her loss occurred. During April and May 1945, five Japanese submarines were sunk in the Nansei Shoto chain. The circumstances surrounding SNOOK's loss suggest the possibility that one of these lost submarines may have torpedoed her while she was surfaced during her lifeguard duties and it was not reported. It is known that such tactics were suggested to Japanese submarine commanders by their superiors. SNOOK went to the East China Sea again on her fifth patrol, and sank four freighters and a freighter-transport, while she damaged a fifth freighter. In the same area on her sixth patrol, SNOOK damaged one freighter. Her seventh patrol was in the Luzon Strait area and the northern South China Sea. She sank three freighters and damaged a fourth freighter and an unidentified vessel. SNOOK patrolled the Kurile region north of Japan on her eighth patrol, but contacted only three ships. Two were Russian and the other was not able to be attacked. 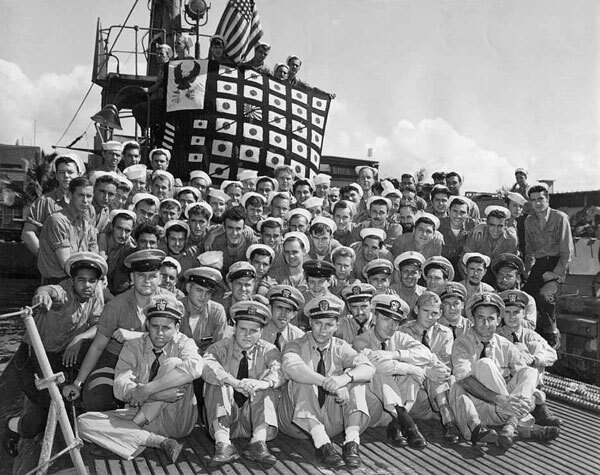 See also Ed Howard's Final Patrol page on USS Snook (external link).